China’s first domestically built cruise ship, to be built at Shanghai Waigaoqiao Shipbuilding Co., Ltd. (SWS), will feature a power and propulsion package from ABB. 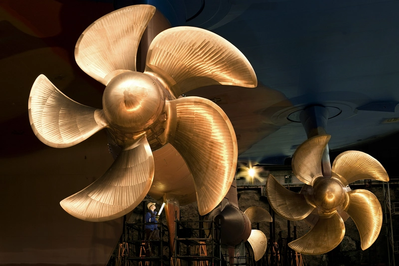 From ABB's perspective the deal includes two Azipod steerable propulsion systems for the 323m vessel, due for delivery in 2023. The ship will be built to accommodate 5,000 passengers and is designed to suit the tastes of Chinese cruise travelers whose numbers are expected to rise to 8-10 million annually by 2025, according to industry body Cruise Lines International Association (CLIA).